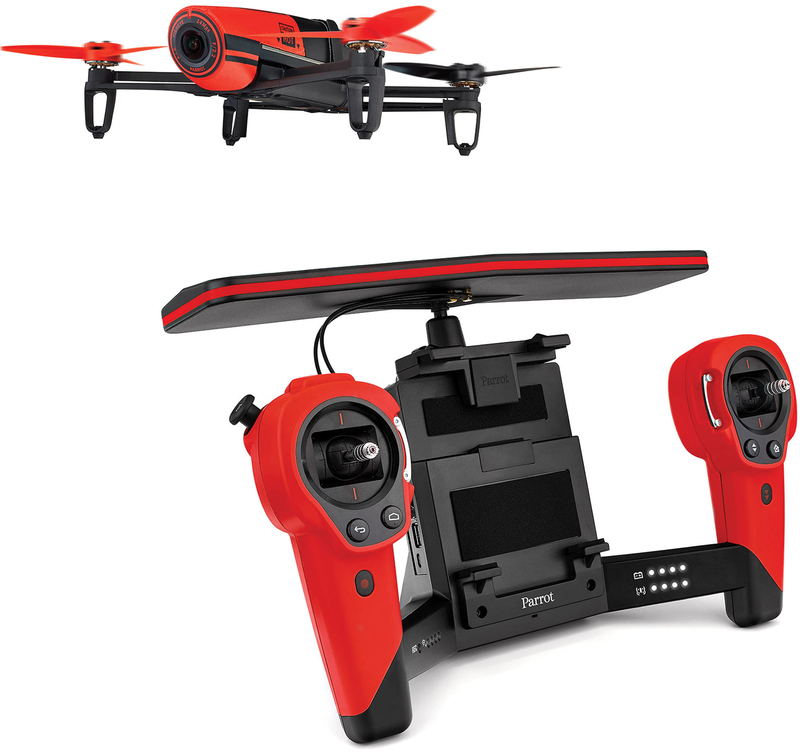 If you are looking for a (relatively) inexpensive drone, then you may want to consider the Parrot Bebop. At $499, it’s nearly half the price of the DJI Phantom, but don’t expect the same performance. For a fairly well designed drone, the most irritating “feature” is wi-fi based communication. This strategy has some severe range limitations. I’d say the second, is the stability of the phone app. If you’d like to read more, I’ve linked a couple reviews. A remote control helicopter designed for recording aerial adventures. Way more compact than a DJI Phantom, with a 14-megapixel camera built right into the nose of the aircraft. There are two versions: a $500 version you can only control with a tablet or phone, or a $900 version that comes with a giant controller that adds real buttons and joysticks, serious range, and support for first-person view goggles. Either way, a bit of a pain to use. The Bebop takes a really unique approach to its camera. Instead of attaching a unit outside and underneath the drone, the Bebop’s camera is positioned in the nose and housed in the body of the drone itself. It also uses a fisheye lens, giving you a wide, 180-degree field of view. Instead of rotating the camera on a physical swivel, you simply swipe left and right within that larger image to choose your frame and focus. Occasionally, if you panned too far, the rotors would appear in your shot, but it wasn’t a major problem.